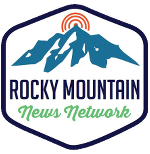 Rocky Mountain News Network understands how important local radio stations are to their communities. We understand how important Colorado News is to Colorado Consumers of all ages, education, and income levels. Our reporters and anchors utilize the power of a statewide radio network to gather information needed to provide well-crafted, timely Colorado news and sports reports for our affiliate radio stations throughout the day. We serve Colorado Consumers. Become a RMNN affiliate today.